TTH.VN - The activity took place in the presence of Vietnam Prime Minister Nguyen Xuan Phuc. 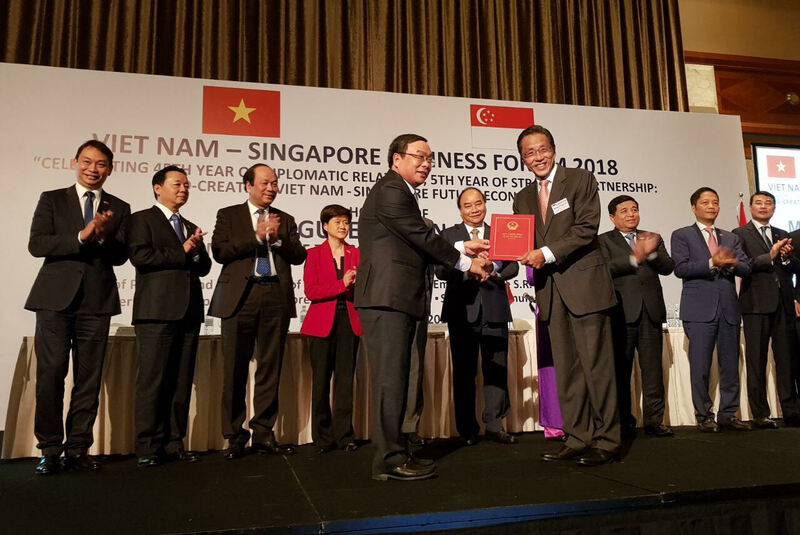 Chairman of the Provincial People’s Committee Nguyen Van Cao gave the license of increasing the casino investment capital of the Laguna Lang Co project to Mr. Ho KwonPing, Chairman of Banyan Tree Corporation at the Viet Nam – Singapore business forum. The activity took place in the presence of Vietnam Prime Minister Nguyen Xuan Phuc. Accordingly, Laguna Vietnam Co., Ltd. will be licensed to increase the charter capital from USD 175 million to USD 300 USD and to increase its investment capital from USD 875 million to USD 2 billion to add to its Casino business and other work items. The work will be basically completed, and all of the items will be put into operation in 2026. The Laguna Lang Co tourist area project is invested by Laguna Vietnam Co., Ltd. under Banyan Tree Corporation (Singapore), and the project was granted the investment certificate in 2007 with the total investment capital of USD 875 million. The project includes hotels, Banyan Tree and Angsana Spa services, an 18–hole golf course, detached villas, high-end residential quarters, convention centers and a series of entertainment activities for customers of all ages. The project has put phase 1 into operation, including Angsana Lang Co hotel, Banyan Tree Residences and a golf course with the capital of nearly USD 300 million. At present, the investor is continuing to implement the remaining items to put into operation the entertainment complex with a casino for foreigners. After permitted to increase the investment capital up to USD 2 billion and to supplement the casino business activity, the project is expected to make a contribution of USD 245 million/year to the local budget.